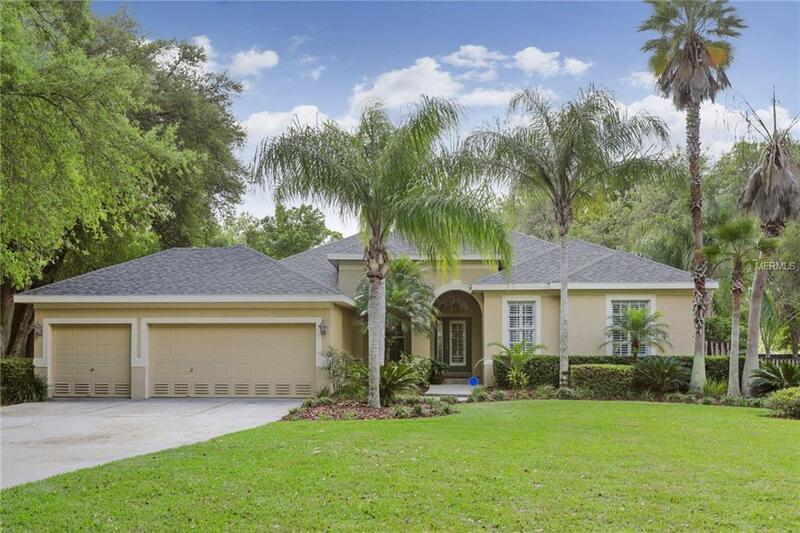 Gorgeous Lutz Home on over a 1/2 an ACRE in a GATED Community. 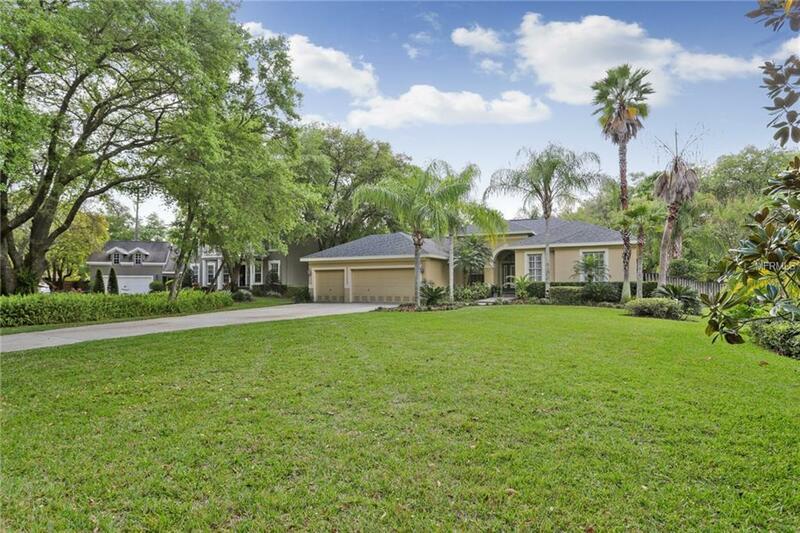 The expansive front lawn and long driveway draw you in. 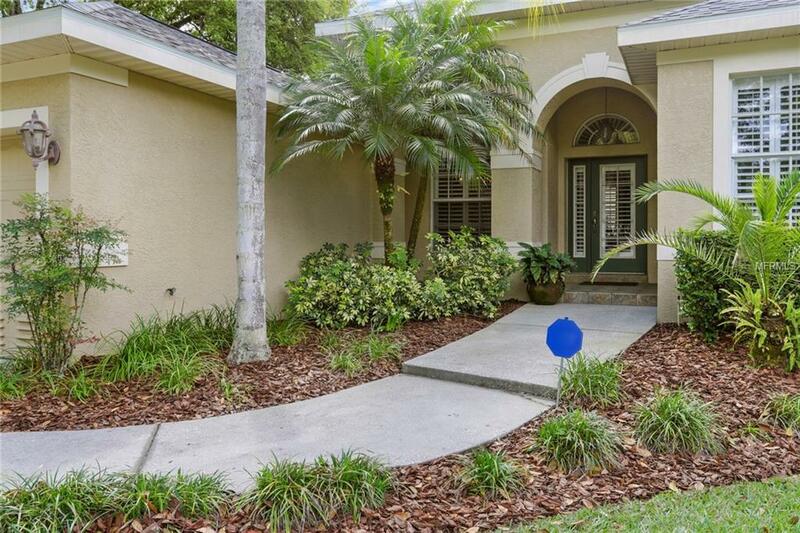 Enter a beautiful Formal Area with rich Hardwood floors that lead you from the FOYER to the Living, Dining Room, Den and Master Bedroom. 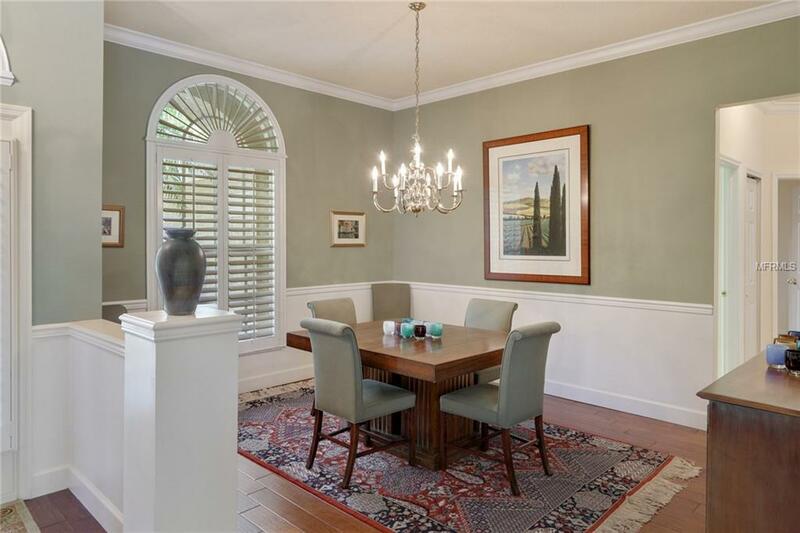 Stunning architectural details like CROWN moldings through these areas as well as the Family room. DOUBLE CROWN in the tray ceilings of the master let you know quality abounds. Columns, Wainscotting, Rounded windows, and Niches add that extra dimension. The entire home is finished with BAHAMA SHUTTERS. The kitchen features Wood cabinets with Crown moldings and some GLASS doors as well as a beautiful Backsplash. Double Oven Range, Refrigerator, Microwave, Dishwasher are all Stainless. A Long counter allows for service and entertainment the kitchen is open to the spacious Family Room which features a fireplace and a full wall of builtins and a full wall of sliders out to the pool area. The master is huge and the bath is well laid out with a wonderful soaking tub and large separate shower. The walk in closet has organizers for optimum space utilization. Two bedrooms share a bath and the 4th and 5th bedroom share a bath that also serves the pool. The 5th bedroom is HUGE and would make an excellent BONUS room. The DEN/STUDY was opened up to accommodate the baby grand piano. The pool is HEATED and the BACKYARD is seemingly endless with wonderful privacy. The roof is brand new.